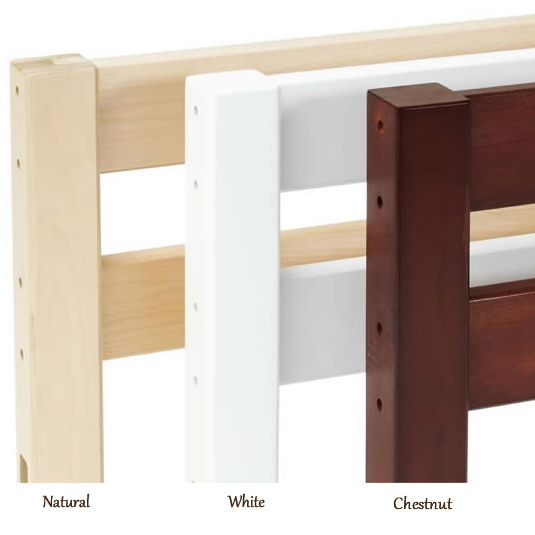 Maxtrix Kids Pink Princess Castle Bed - The Pink Princess Castle Bed by Maxtrix Kids looks stunning in their newest wood finish, the dark chestnut. The pink and white castle curtains have long been a favorite for little princesses. Traditionally, they've been paired with the white bed. This new dark wood finish is gorgeous and offers a great alternative. Enjoy a great bedtime story in the top tent, or have a princess tea party in the tent under the castle bed. 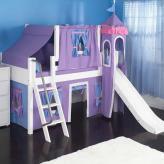 No matter what's on the royal schedule, it will be more fun in the Maxtrix Kids Pink Princess Castle Bed. Maxtrix Kids calls this version the Marvelous 23 Castle Bed. It's shown in chesnut wood with panel bed ends, straight front ladder and festive bed tent curtains in pink and white. The Marvelous 23 Castle Bed will open up a whole new daily adventure and help your little one make years worth of memories. Customize this Maxtrix Bed. 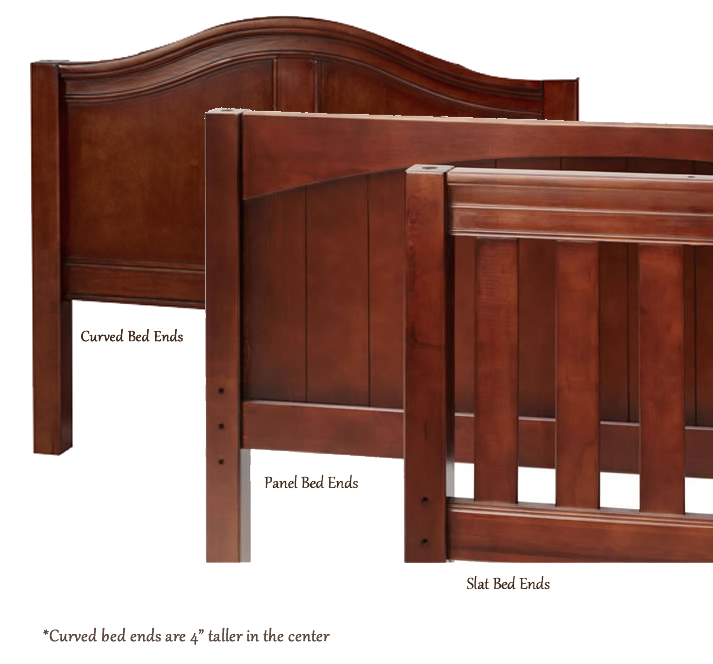 Full Description Maxtrix Kids Pink Princess Castle Bed - The Pink Princess Castle Bed by Maxtrix Kids looks stunning in their newest wood finish, the dark chestnut. The pink and white castle curtains have long been a favorite for little princesses. Traditionally, they've been paired with the white bed. This new dark wood finish is gorgeous and offers a great alternative. Enjoy a great bedtime story in the top tent, or have a princess tea party in the tent under the castle bed. 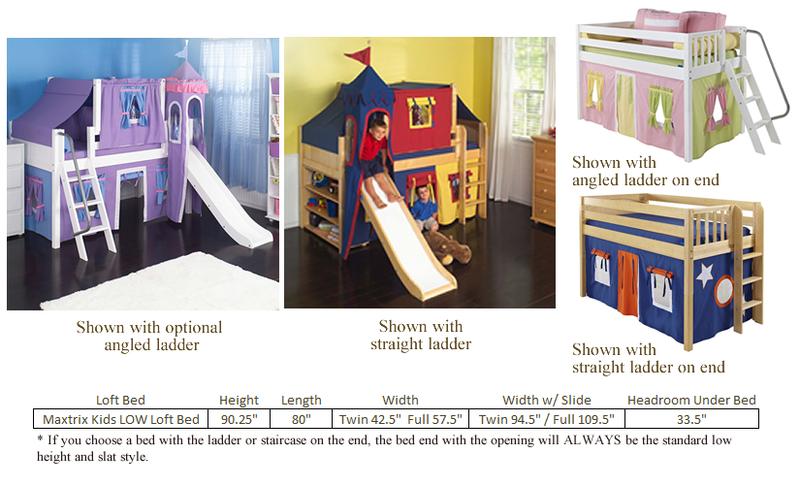 No matter what's on the royal schedule, it will be more fun in the Maxtrix Kids Pink Princess Castle Bed. Maxtrix Kids calls this version the Marvelous 23 Castle Bed. 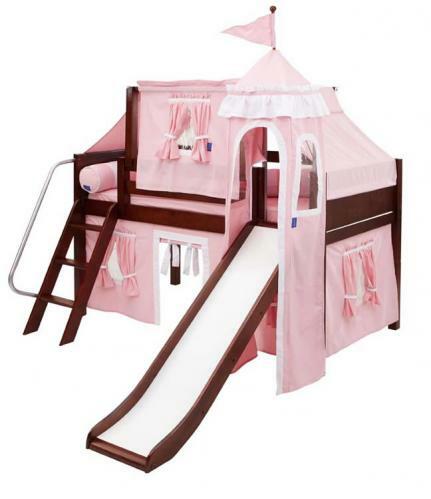 It's shown in chesnut wood with panel bed ends, straight front ladder and festive bed tent curtains in pink and white. The Marvelous 23 Castle Bed will open up a whole new daily adventure and help your little one make years worth of memories. Customize this Maxtrix Bed.